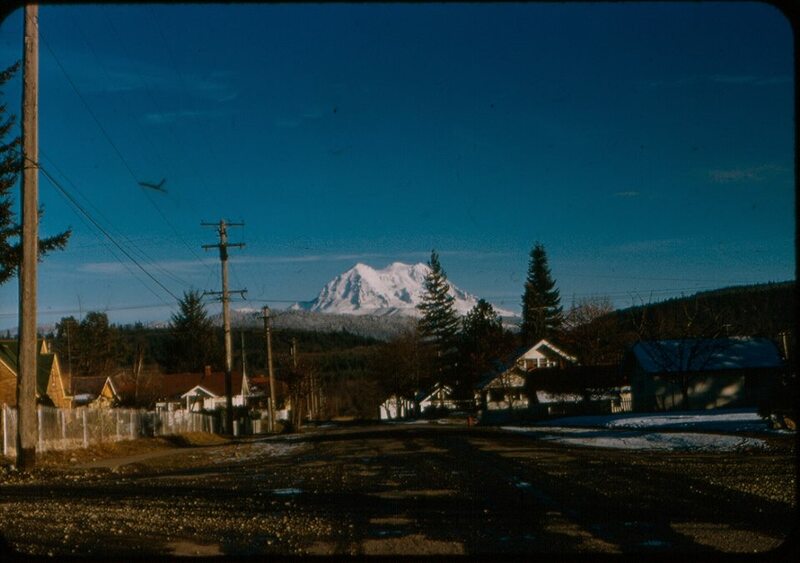 You’re looking at the corner of Carter St. and Pennsylvania Ave., and, of course, Mountain Rainier on a winter day. Things haven’t changed too much since then, except that maybe the roads are in a little better condition. Thank you Heidi Stephens for the great shot.